Celebrate the holidays with music created by Advanced Programs students during their 10-week Music Production Residency with Young Producers Group. Students from Beats by Girlz will also share new work. Hosted by the artworxLA High School Interns and Advanced Programs participants, this special event will include light food and refreshments. 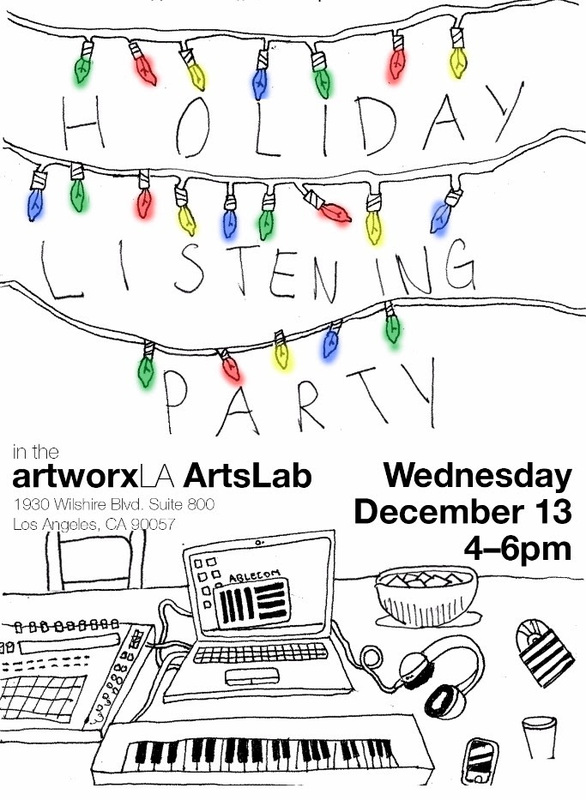 *Space Limited Please RSVP to caroline@artworxla.org. We hope to see you on December 13! Parking is available in the lot attached to 1930 Wilshire Blvd. Enter through the first driveway south of Wilshire Blvd. on Westlake Ave.
Public transportation is encouraged. We are conveniently located across from the Westlake/MacArthur Park Red Line station.